Alcohol Addiction is a Chronic but Treatable Disease. Millions of Americans suffer from alcohol abuse, alcohol addiction and alcoholism. Alcohol addiction is considered chronic because it will have a long-standing effect on the individual that, even with treatment and recovery, will always be in the background. It is estimated that 70% of all people who develop alcohol dependence will have a single episode of this addiction that will last for a period of 3-4 years. For the remaining 30% of alcohol abusers, a lifetime of dependence and problems are likely to occur. Many people who suffer from alcohol addiction and seek formal treatment will recover with the help of the treatment and rehabilitation facilities that they attend while others may be able to recover without the use of formal treatment. Even in the most severe cases of alcohol addiction, treatment has been proven effective at reducing the likelihood of relapse. Regardless of how severe or mild you may think your drinking problem is, there is help available. Alcohol consumption is a common theme in many cultures and you may not even realize that you have a drinking problem until the consequences really start to sink in. However, if alcohol is causing problems in your life such as troubled relationships, financial hardships, physical illness or legal troubles then it’s time to seek help. 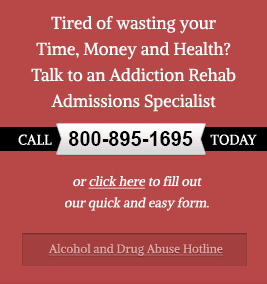 Help is available in alcohol treatment centers and rehabilitation programs throughout the country. These programs offer various levels of support and care as well as counseling and therapy that are charged with helping you to get well, feel better and overcome alcohol addiction. Although alcohol addiction is a potentially fatal condition, sobriety is possible. If you, or someone you love is addicted to alcohol, seek immediate help to overcome alcohol dependence and take back control of your life before it’s too late.